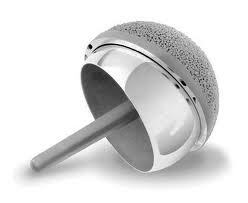 Smith & Nephew Hip Implant Patient Diagnosed with Metallosis. Ramona, CA: Increasingly, more people are experiencing hip and knee replacement failure and undergoing revision surgery. Karen was given a metal-on-metal hip replacement and has recently been diagnosed with metallosis. “I had to get hip revision surgery and my kidneys are finally filtering out the heavy metals,” she says, exasperated. Metallosis isn’t Karen’s only concern. She is also worried that the statute of limitations is running out – her first hip replacement was done in 2008; she had problems right from the get-go and they got worse. “First of all it’s a pretty scary operation,” Karen says. “If you have ever bought a chicken and disjointed the leg from the breast you will know exactly how the surgeons bend you in half and pop the hip joint out of its socket.” Just eight weeks after she had that surgery Karen had her other hip done – she was only 60 years old. “I got up the next day (after the second surgery) and discovered that my right leg was one inch longer than my left leg,” Karen explains. “They suggested that I wear orthotics – what a joke! Ten days later they pulled the staples, went back in and made my leg an inch shorter. Now I am about level. The right hip doesn’t have metal-on-metal everything; it has a plastic spacer. Why didn’t my first (left hip) replacement have the plastic spacer? Now my left hip is causing all the problems but the wear is uneven and my new surgeon is closely monitoring this issue. Karen’s lab results showed dangerously high elevated levels of chromium and cobalt that are released into the blood as the metal components rubbed against each other. She was also diagnosed with stage 3 kidney failure, a direct result of metallosis. Her doctor recommended immediate revision surgery to get rid of metal components. Needless to say, she was shocked. “In November 2011, two surgeons performed the surgery because they knew beforehand it was going to be difficult,” Karen says. “They removed the Smith & Nephew ball and cup, added the plastic spacer and secured the cup with a screw to my hip bone so it won’t slide. I still have a lot of soft tissue damage in both hips. To this day I can’t lie on my side, I have to sleep propped up and I have constant pain on bending my hips. Back in 2008, Karen began to develop severe pain upon walking and it kept getting worse. She was very athletic and chalked it up to overuse. She found her original surgeon from an article in the San Diego newspaper “bragging” about how he did a hip replacement on a female firefighter and she was back on the job in six weeks. She contacted the woman who raved about this surgeon. What better recommendation could you get? “I didn’t feel my age in 2008 but I sure do now,” she adds. “I found out that a lot of people in the US have Smith & Nephew parts. How do these medical device companies think their product is any different than, say, DePuy? I think the hammer is inevitably going to fall on all of them. “I recently asked my new surgeon about all the pain in my hips and he just shrugged. I see a pain management specialist next week – I might have to go through a full drug withdrawal program; the more you take, the more you build up to the point that it can cause liver damage. Vicodan does nothing but dull the pain; it does not make me happy. It has just become a vicious cycle. “I hate taking pills and now I am at my wits end, and I have spent tons of money with these revision surgeries. I just hope that a hip replacement lawsuit will get me some compensation.” Karen adds that she has kept all her surgery reports, all lab tests and she has the removed metal components from her first left hip surgery to serve as evidence.